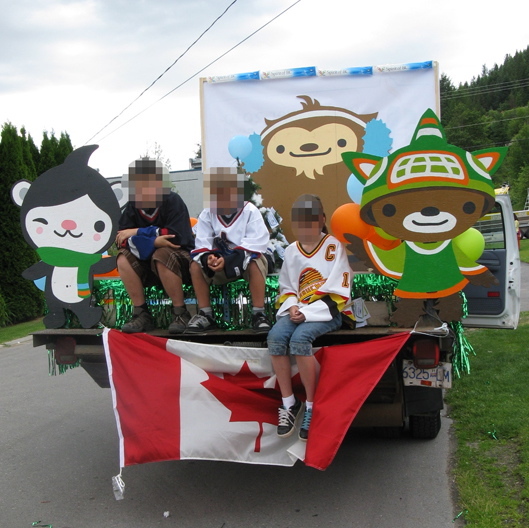 Hanna Sandvig painted the mascots onto plywood for this modest float, which appeared in the June 2009 Sunfest parade in Castlegar, British Columbia. I do not know the identity of the Canucks fans with pixelated faces. 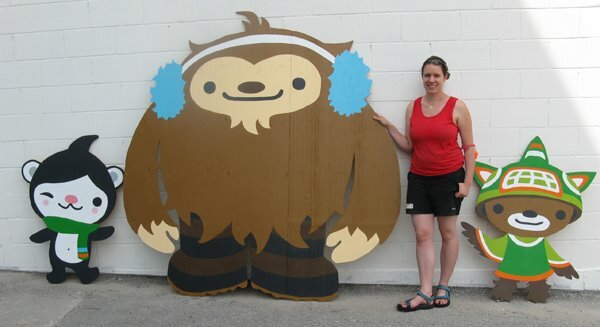 This entry was posted in Uncategorized and tagged crafts, Miga, Quatchi, Sumi. Bookmark the permalink.